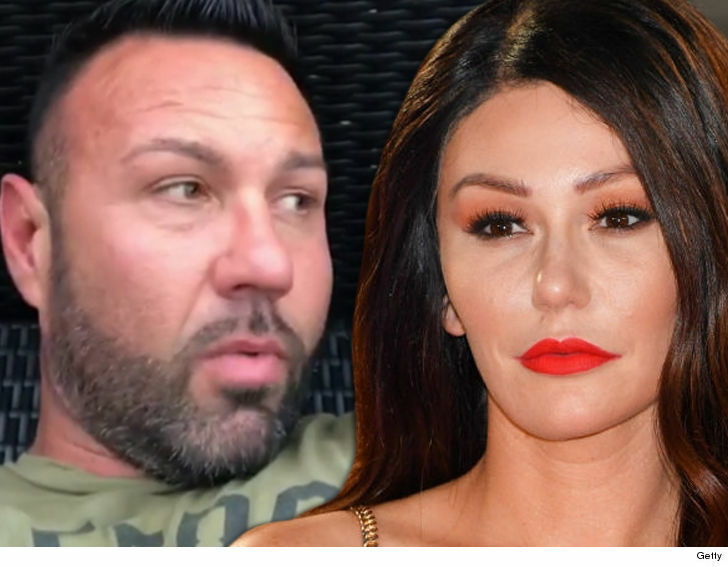 JWoww's estranged husband says she has painted him as a monster and a woman beater -- which he strongly denies -- but he's willing to call a truce and give her a hug ... for the good of their children. Roger Mathews shared a lengthy letter online Saturday morning titled, "A Message to Jenni," in which he rehashed their recent turmoil and responded to her allegations this week that he's been abusive to her on multiple occasions. Mathews says he's extremely saddened the 2 have not been able to find a better way to handle their differences but also slams JWoww for deliberately trying to using her platform to destroy his life. He also blames her getting a restraining order on him for hurting his relationship with their son. As for the abuse allegations ... Roger admits to pushing her and says he takes responsibility for it but claims Jenni was the aggressor and edited out her violent behavior. As we reported, she shared a video of what looks like Mathews throwing her to the ground. Despite Mathews recently vowing to take legal action against JWoww, he ends his letter by pleading with her to "stop the madness" and work things out for their kids. He says ... "We are both assholes. Let’s raise our kids better. I want to help you. Please try and help me. We need each other. Not in the way we once did but this madness has to stop. Own your truths as I have owned mine. Work with me and I will work with you. A part of me will always love you. I had to clear my name. I can help you clear yours too. I know all the good things you’ve done in your life as well as knowing the bad. Let's make the necessary changes for our children. I will if you will. I want you to be happy and I deserve to be happy as well. Happy parents make for happy kids. We owe them this. I be willing to give you a hug at the end of the day today as a truce offering."